In an interview with Dr. Phil on his podcast "Phil in the Blanks," she said started to become depressed around age 17. 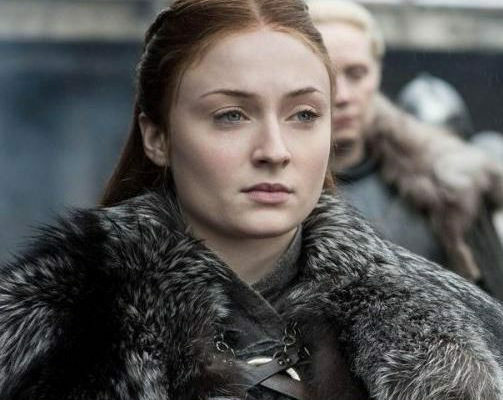 She said she felt alone after her friends and brothers moved away for college, while she was working on "Game of Thrones" and living with her parents. Social media became a "catalyst" for her depression, she said. "It only started to kind of go downhill I think when I started to hit puberty, and really puberty, though, at like 17," she said. "My metabolism was like slowing down massively, and I was gaining weight. And then there was the social media scrutiny and everything, and that was when it kind of hit me." She said she would read comments talking about her weight and skin as well as criticism about her acting. "I would just believe it," she said. "I would just say, 'Yeah, I am spotty. Yeah I am fat. I am a bad actress.' And I just believed it." She said now she feels much better since seeking therapy and treatment. "I love myself now, or more than I used to, I think. I don't think I love myself at all, but I'm now with someone that makes me realize, you know, that I do have some redeeming qualities I suppose," she said, referencing her fiancé Joe Jonas. "When someone tells you they love you every day, it makes you really think about why that is, and I think it makes you love yourself a little bit more, so, yeah, I love myself."